Ok, it’s more than a little laughable to try to shoehorn me and a “biker” song into the same thought. I ride a motorcycle, but no self-respecting “biker” would even sit with me in the same bleacher section at a George Thorogood concert. My idea of teenage rebellion was when I bought (geez, I didn’t even steal the stupid thing) a comic book and hid it in the Sunday paper my Dad had sent me to buy. I hid it so Pop wouldn’t know I bought another comic book with my allowance money. Yeah, I was a real wild child, alright. When I was a teen, I had friends with motorcycles, but not me. I didn’t work at jobs that paid enough for me to afford one, and my cruel parents refused to see the necessity of a teenager having a motorcycle. Never mind that I was an irresponsible and reckless teenager. That has nothing to do with it, and I clearly needed one. Maybe I could have tried the holding-my-breath-until-I-turned-blue trick, but I’m kind of doubtful that would have helped my case much. So I had to wait until adulthood to get a bike. 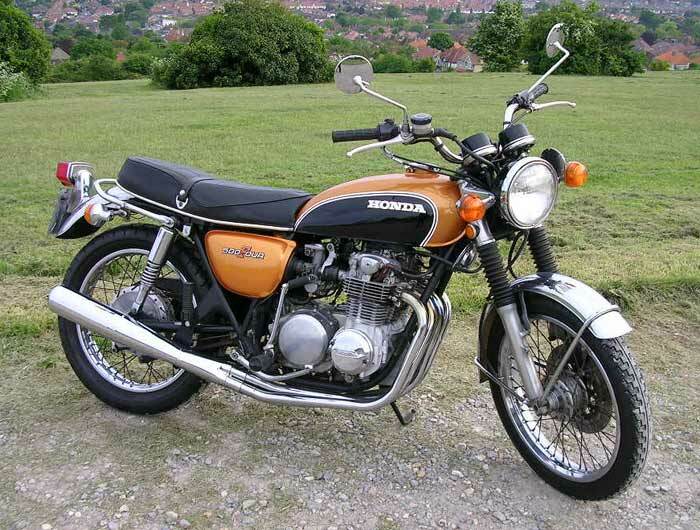 Not my bike, but a nice shot of a Honda CB. was just a mess. JB paid only $300.00 for it, and then took it to a nearby motorcycle dealer for repair. After several weeks, the shop told him that for them to fix it would cost him way more than the bike was worth. Disgusted, he said he was just going to sell it. I asked the price, and he told me that he was just looking to get his $300.00 back. I yelled, “Sold!” and was completely jazzed about my new purchase. Those that know me are probably wondering what Beth thought about this whole thing. Well, I didn’t tell her. I value my marriage, and I just didn’t think it was a healthy thing to explain this to Beth at this point. Sometimes, no matter how rational I am, she takes a negative tack. So I kind of, uh, waited for the proper moment. Timing is everything. We had been discussing the purchase of a motorcycle. The conversations usually went something like this. See? Unreasonable. So, being the thoughtful husband, I thought it best to tell Beth at a better time. JB finally got the bike (MY bike!!!) back from the shop in the back of a friend’s pickup. I was working 8PM to 4AM, so around 2-3 in the morning, he backed into my driveway, and we unloaded it, putting it in my garage. At the end of the shift, I went home and went to bed, with visions of motorcycles dancing in my head. Well, we kept the bike, and I spent a lot of time getting it into running shape. I loved that bike. I’m not a small guy, I stand about 6’3″, and back then probably weighed in at 180 lbs. Riding it I probably looked like a monkey sitting on a softball, but I felt like a million bucks on that thing. A couple of years later I traded up to a CB 750. Also not mine, but beautiful! I didn’t keep this one long. It was from Utah, and when I emptied the carburetor bowls, there was about a half-inch of sand in them. 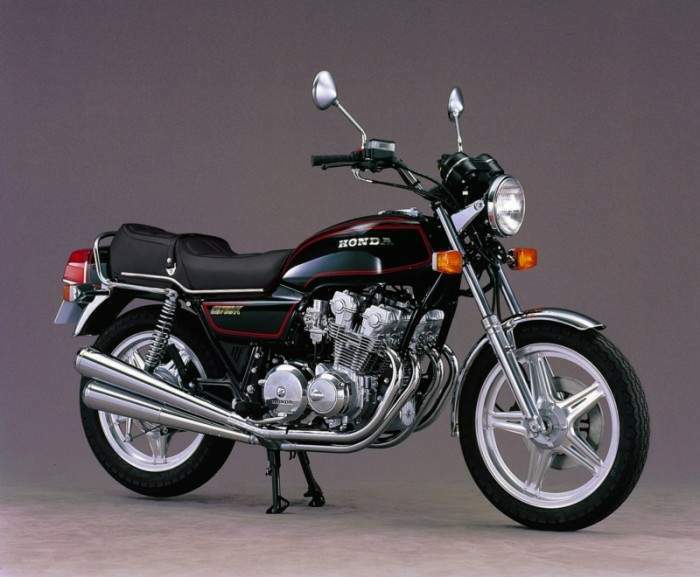 I could just imagine what the carbs, valves, and pistons looked like, so I sold it and bought a Suzuki GS 750. Mine was a gorgeous red. Now that was a beautiful bike! 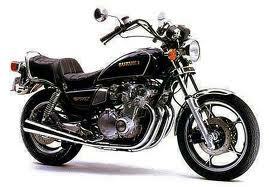 I kept that Suzi for a couple of years, and then traded up to a Suzuki GS 1100L. I have had that bike for twenty years. But as time goes on, things like motorcycles tend to wear down, get tired, not look as good. And I didn’t have the money or talent to keep ‘er looking and running like she should. But I loved that bike! Even when it was unsafe and looked a little (ok, a lot) run-down, I loved that bike. I tend to get overly sentimental about things, and that motorcycle was no exception. Next up: From GS1100 to the present! !